Whilst at the 2011 Sydney International Boat Show, Dave Butfield from the fishing show ‘Hooked on Fishing‘ interviewed Nick from Savwinch regarding his Savwinch boat anchor winches. The short interview highlights the benefits of Savwinch boat anchor winches over similar products on the market, including Australian made and many design advantages. So if you want to see Nick and Dave in action watch ‘Hooked on Fishing‘ on Foxtel this Tuesday 9th August at 7.30pm and again repeated on Saturday 13th August at 6.30pm. 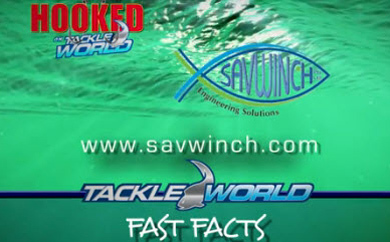 Having mutual respect for our products and work, Savwinch have now become proud ‘Hooked on Fishing‘ sponsors, so you will be seeing much more of Savwinch products advertised on Hooked and Hooked related promotions in the coming months. You may even be able to catch Nick from Savwinch fishing with Dave Butfield in Melbourne during the upcoming snapper season.